Cooking-Nutrition Education Academy ASWLC October 2014. 2 Welcome! 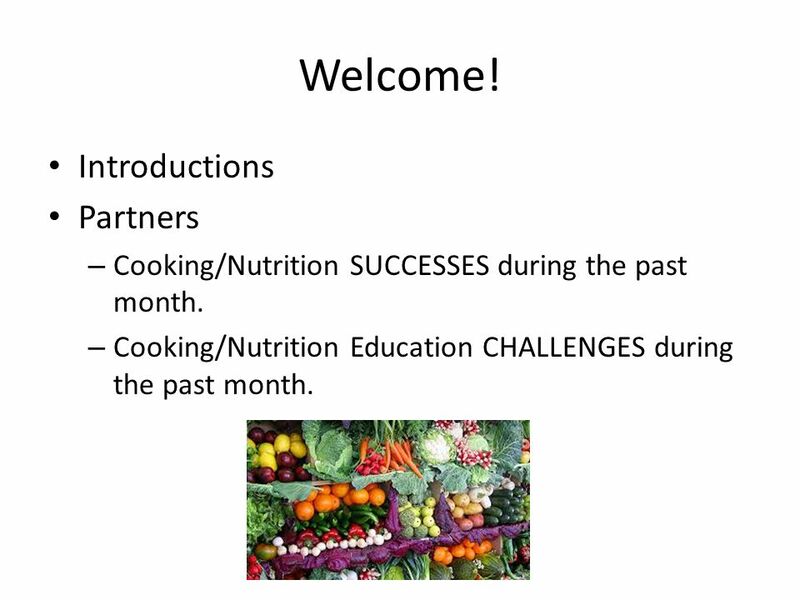 Introductions Partners – Cooking/Nutrition SUCCESSES during the past month. – Cooking/Nutrition Education CHALLENGES during the past month. 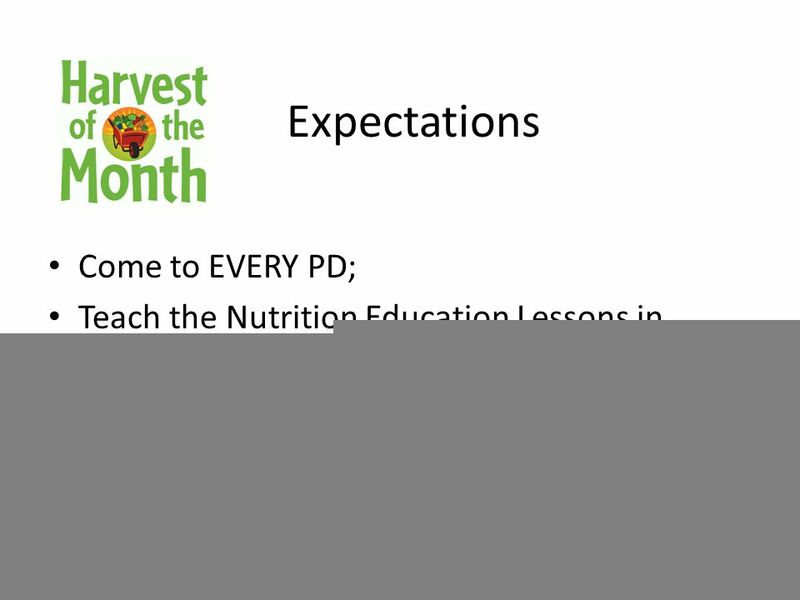 3 Expectations Come to EVERY PD; Teach the Nutrition Education Lessons in advised sequence; Pick-up boxes on designated date; Make connections --- Harvest of the Month produce item – NOVEMBER = PEAR. 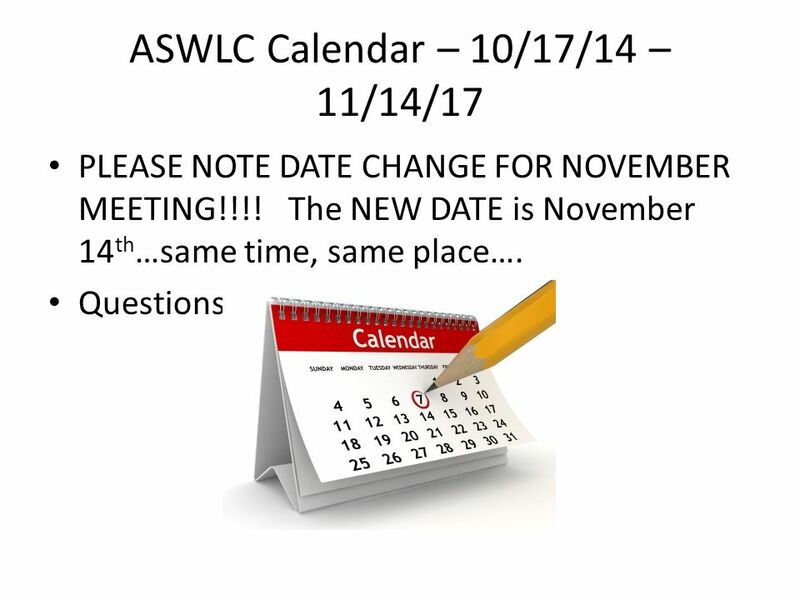 4 ASWLC Calendar – 10/17/14 – 11/14/17 PLEASE NOTE DATE CHANGE FOR NOVEMBER MEETING!!!! The NEW DATE is November 14 th …same time, same place…. Questions? Comments? 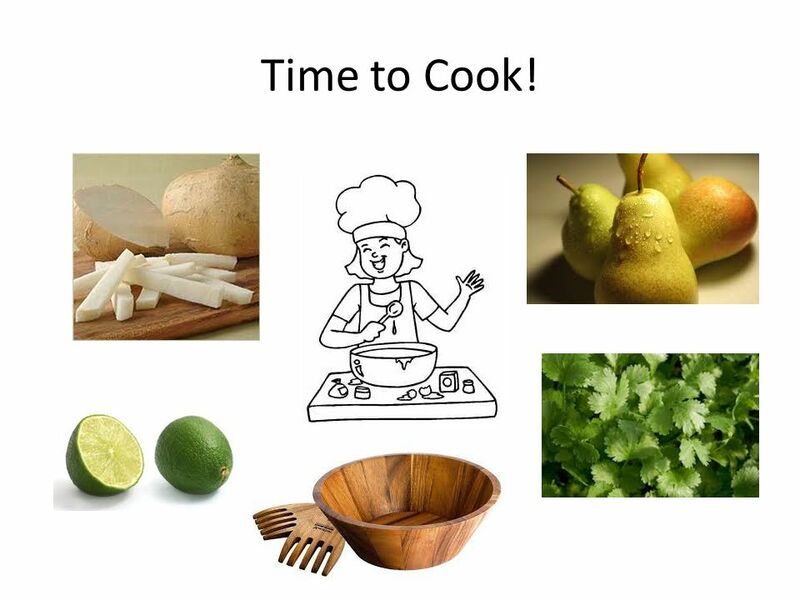 6 Lesson 2.1 -- Introduction What do your remember about Food Day? How did you do on your Eat Real Action Plan? “Eating Real (WHOLE) Foods” is the first part of the Food Day message. 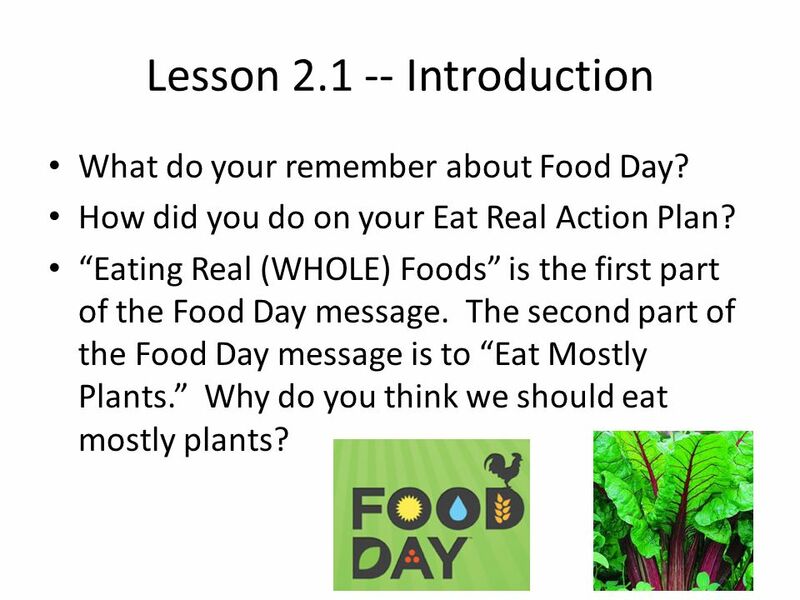 The second part of the Food Day message is to “Eat Mostly Plants.” Why do you think we should eat mostly plants? 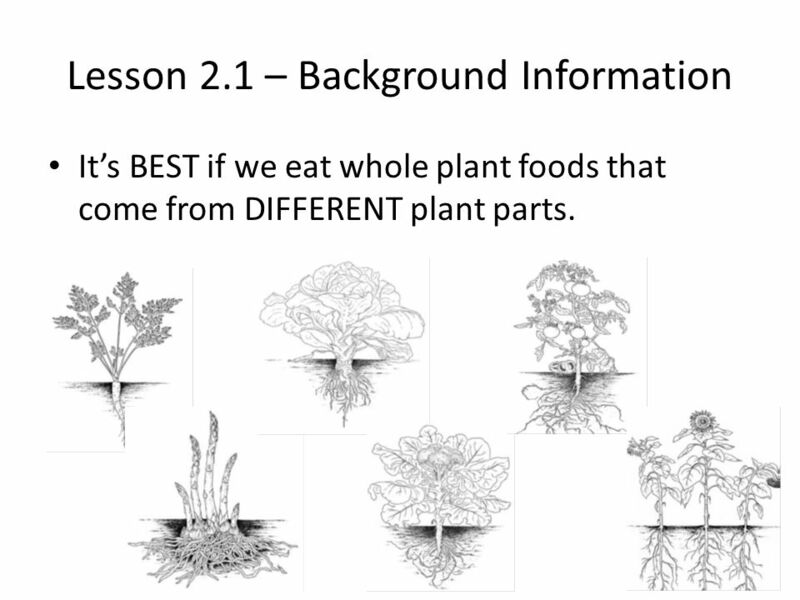 7 Lesson 2.1 – Background Information It’s BEST if we eat whole plant foods that come from DIFFERENT plant parts. 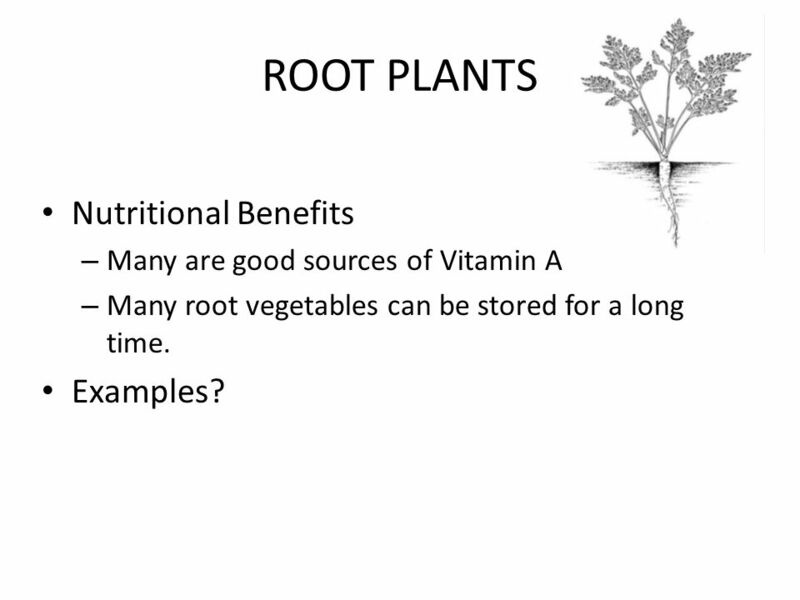 8 ROOT PLANTS Nutritional Benefits – Many are good sources of Vitamin A – Many root vegetables can be stored for a long time. Examples? 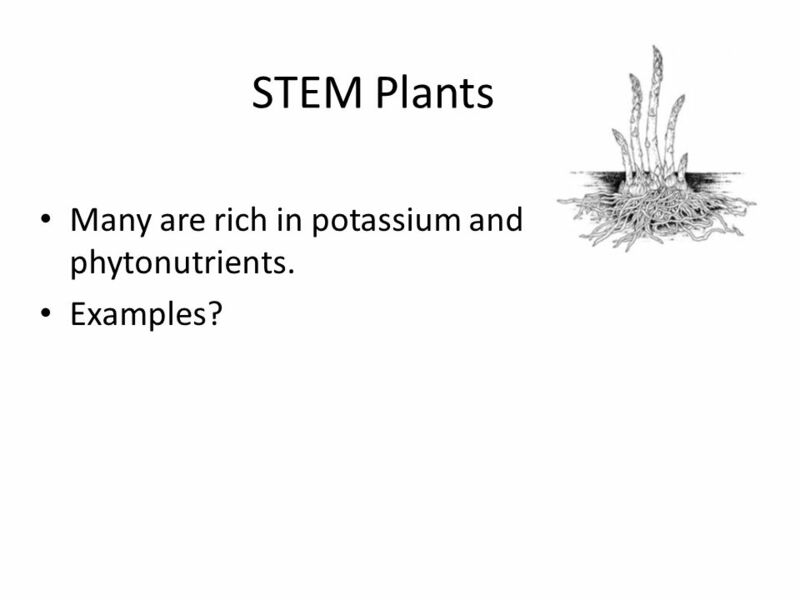 9 STEM Plants Many are rich in potassium and phytonutrients. Examples? 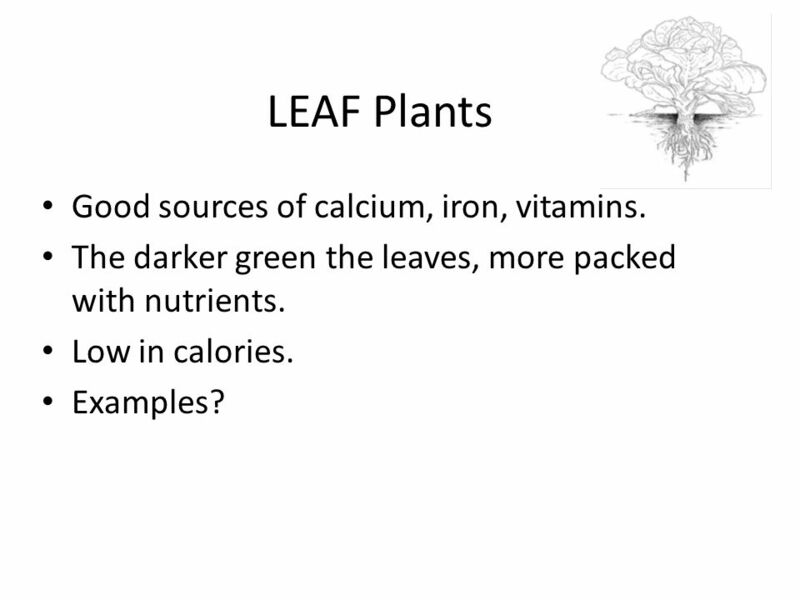 10 LEAF Plants Good sources of calcium, iron, vitamins. The darker green the leaves, more packed with nutrients. Low in calories. Examples? 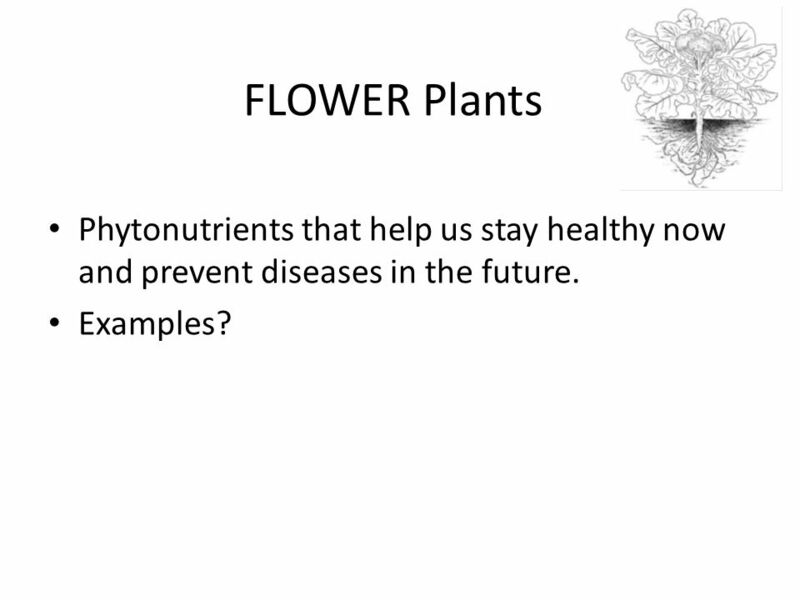 11 FLOWER Plants Phytonutrients that help us stay healthy now and prevent diseases in the future. Examples? 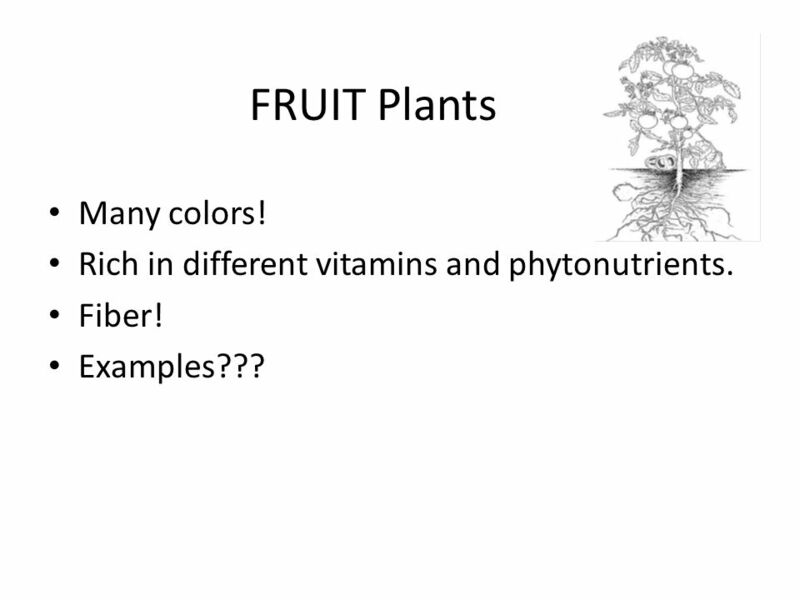 12 FRUIT Plants Many colors! Rich in different vitamins and phytonutrients. Fiber! Examples??? 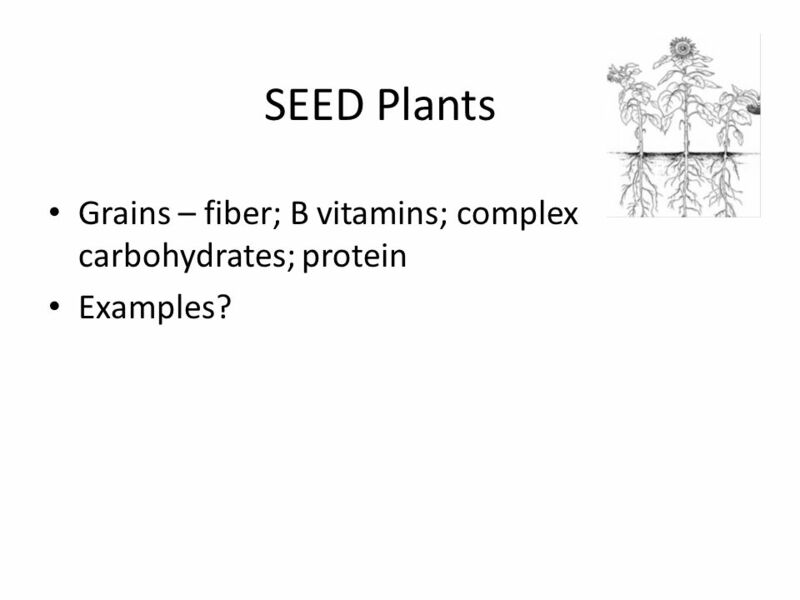 13 SEED Plants Grains – fiber; B vitamins; complex carbohydrates; protein Examples? 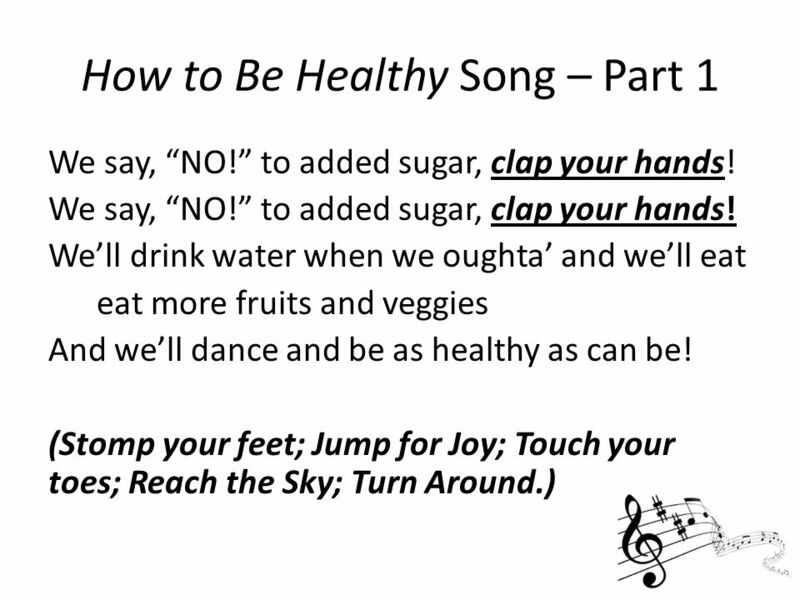 15 Lesson 2.1 -- Reflection/Wrap-Up So far, we’ve talked about TWO of the Three BIG ideas of Food Day: “Eat Whole Foods” and “Eat Mostly Plants.” What do you remember about each of these two ideas? The next time we are together we will learn about the third BIG idea – “Eat-NOT Too Much!” What do you predict will be the key components of this Big Idea? 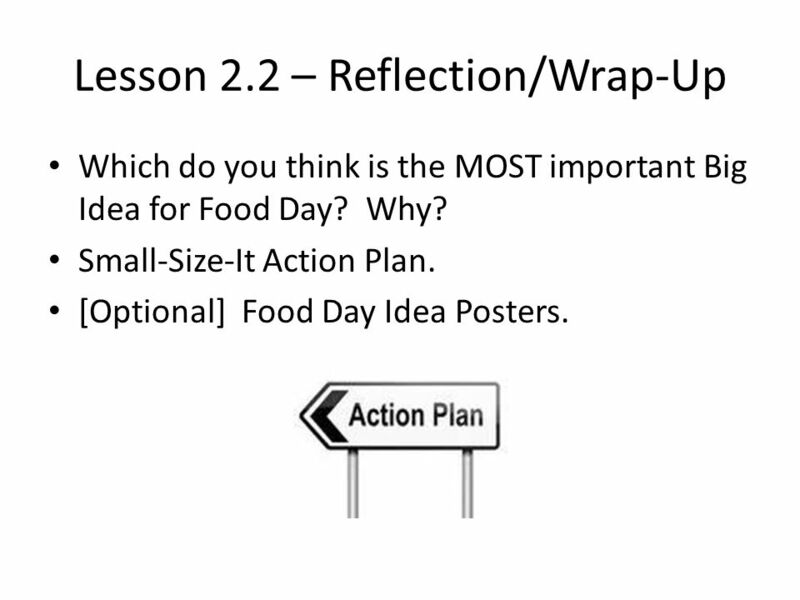 16 Lesson 2.2 -- Introduction In the previous classes, we’ve learned about 2 of the 3 Food Day Big ideas. What are they? 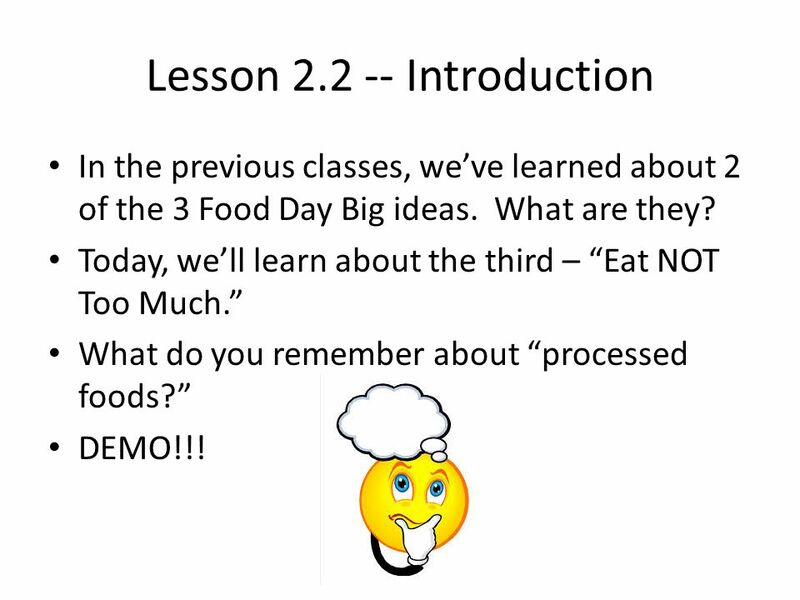 Today, we’ll learn about the third – “Eat NOT Too Much.” What do you remember about “processed foods?” DEMO!!! 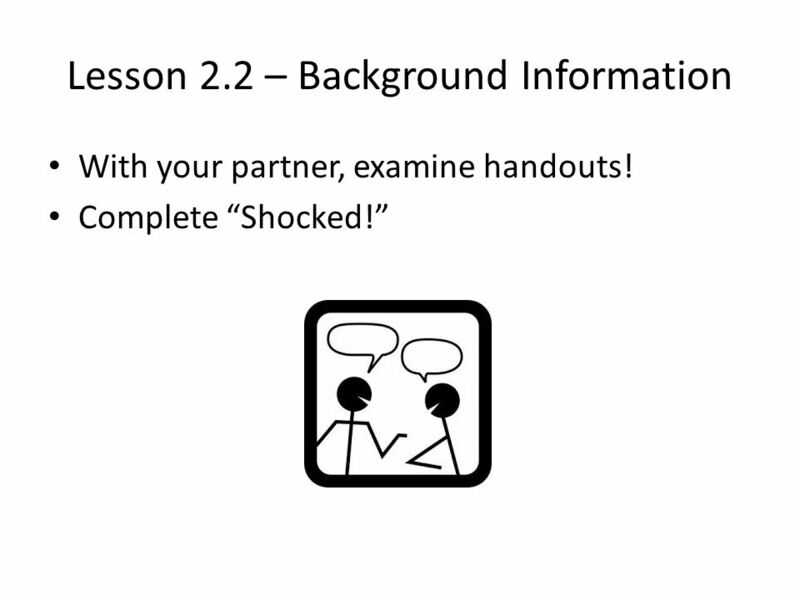 18 Lesson 2.2 -- Activity Scenarios – First one together. 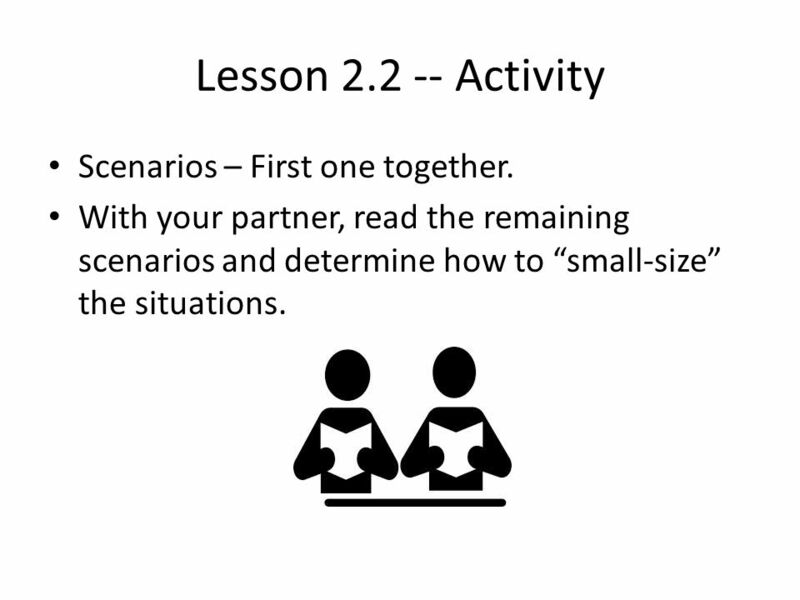 With your partner, read the remaining scenarios and determine how to “small-size” the situations. 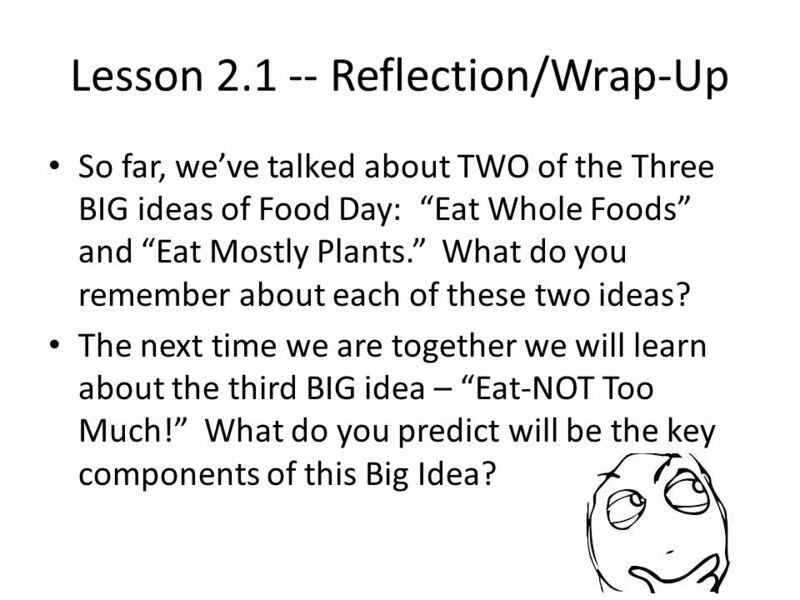 19 Lesson 2.2 – Reflection/Wrap-Up Which do you think is the MOST important Big Idea for Food Day? Why? Small-Size-It Action Plan. [Optional] Food Day Idea Posters. 20 P.A. 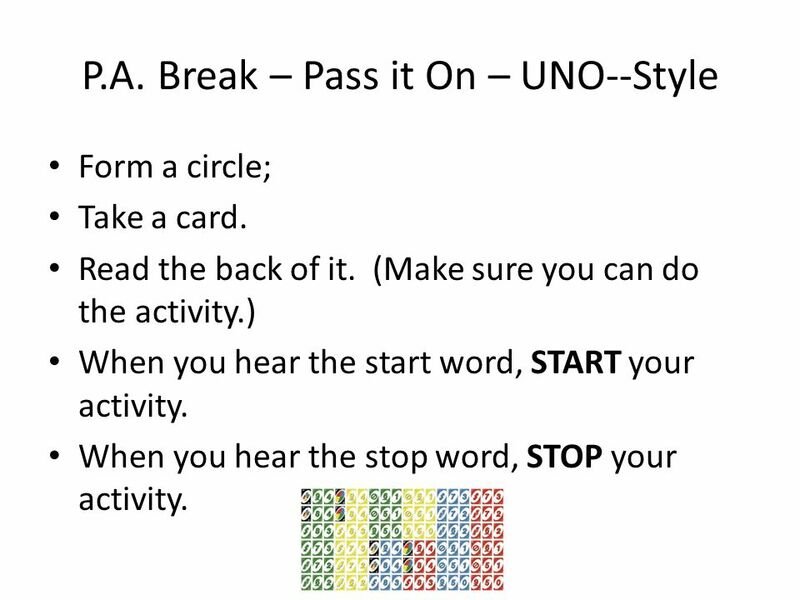 Break – Pass it On – UNO--Style Form a circle; Take a card. Read the back of it. (Make sure you can do the activity.) When you hear the start word, START your activity. When you hear the stop word, STOP your activity. 21 P.A. 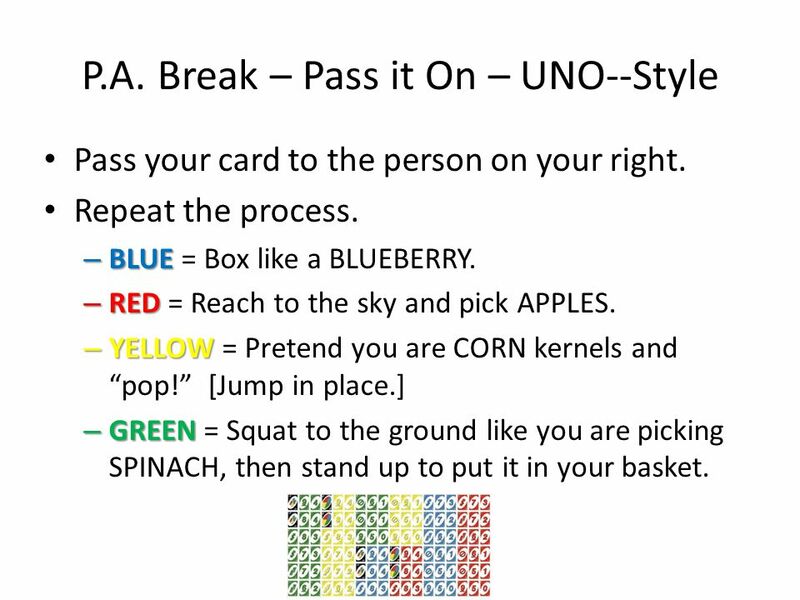 Break – Pass it On – UNO--Style Pass your card to the person on your right. Repeat the process. – BLUE – BLUE = Box like a BLUEBERRY. – RED – RED = Reach to the sky and pick APPLES. – YELLOW – YELLOW = Pretend you are CORN kernels and “pop!” [Jump in place.] – GREEN – GREEN = Squat to the ground like you are picking SPINACH, then stand up to put it in your basket. 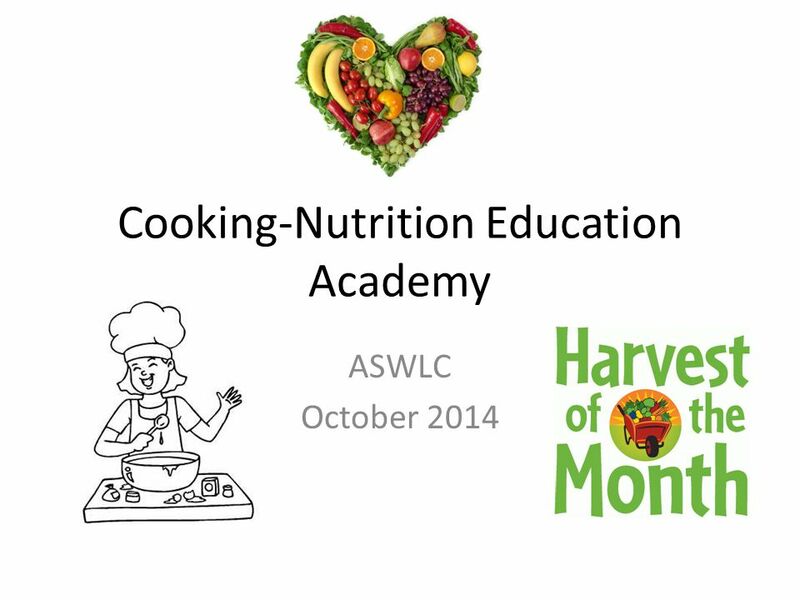 Download ppt "Cooking-Nutrition Education Academy ASWLC October 2014." Calcium. A mineral needed to build and maintain bones and teeth. Food in the milk group are a good source of this. Win, Lose or Draw Vegetables Review. You will be divided into 4 team, and each team member will be assigned a number 1-6. Each person needs a sheet of. Pregnancy and Nutrition November 16, Healthy Pregnancy The foods eaten before and during pregnancy help prepare the body to support the growth of. Fruits Foods I: Fundamentals. Definition Fruit: The ripened ovary, seeds and surrounding tissue of a flowering plant. Gardens at School and My Plate at Home Jennifer Genens, Nutrition Specialist Ivy Marx, Nutrition Specialist. Cooking-Nutrition Education Academy ASWLC February 20, 2015. Food gives you the fuel for playing sports, hanging out with friends and doing homework! The healthier the food, the more energy it will give you to keep. Vegetables Color = Green. What are Vegetables? Definition: Vegetables are plants or parts of plants that are either served raw or cooked as part of the. 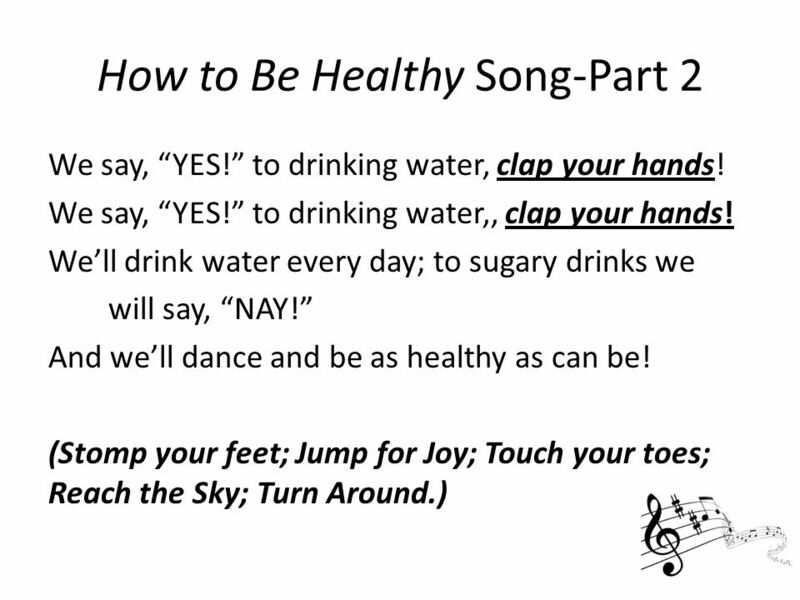 Youth Health Education. Nutrition What do we need energy for? -to walk -to run -to think -to jump Nutrition = life. 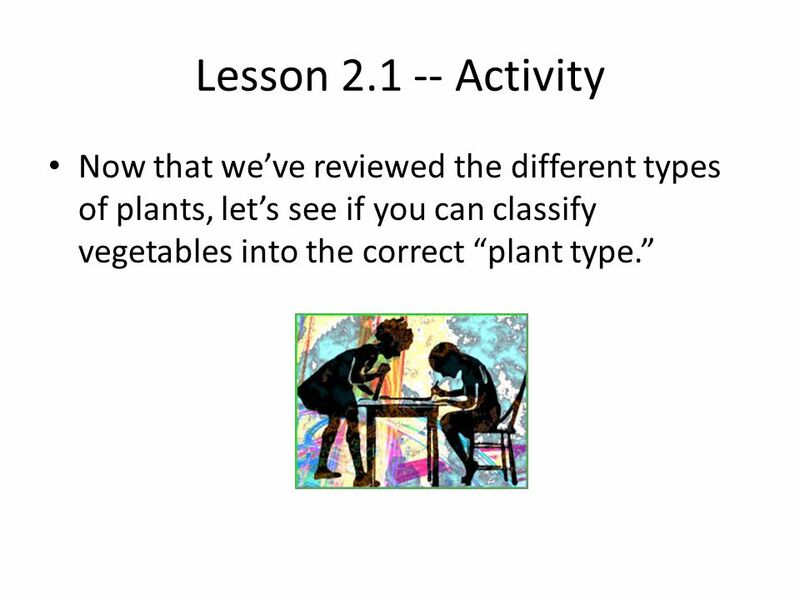 Plants By: Mrs. Jarrell. What does a plant need? Water Sunlight Fresh air Soil Space Love.